The Licensing Executive Society invites me to give a presentation that describes 36 underlying strategies of the Intellectual Property Revenue Generation Game model that I published back in 1999. These strategies are based on historical strategies understood in China during Sun Tzu’s time. The presentation goes exceedingly well, and the idea to produce a card deck with the strategies for a broader audience comes to mind. 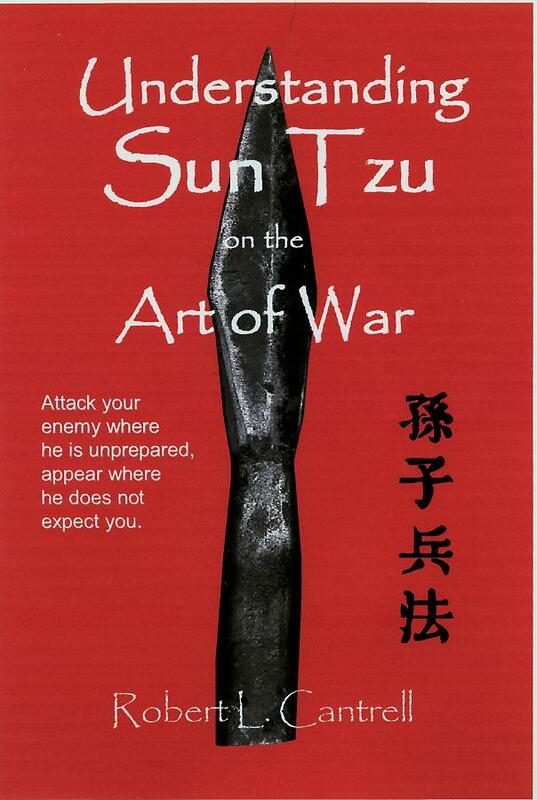 I had been working on a book that related Sun Tzu’s Art of War to business. 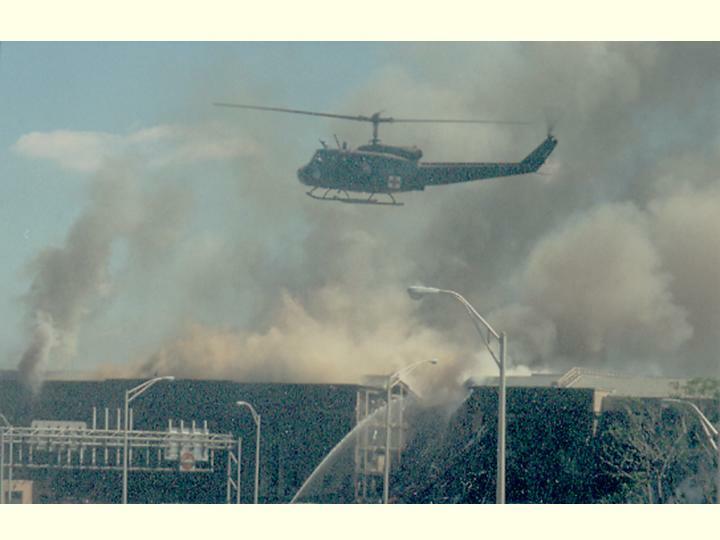 I was nearby the Pentagon when it was attacked and chose after that date to focus the book on the military aspect of its origins. I publish Understanding Sun Tzu on the Art of War, and it shortly thereafter earns a Reviewer’s Choice Award from the Small Press Review. The National Defense University and U.S. Naval War College adopt the book for their curriculum. A separate project history is available for this book at www.artofwarsuntzu.com. I still toy with the idea of turning the 36 strategies I used at LES into a card deck, which will mean filling in the remaining 16 strategies I do not yet have. What those 16 strategies should be is not obvious. I choose to undertake a project to produce a set of 54 innovation strategy cards based on the Theory of Inventive Principle. These stay proprietary for my consulting practice. The Theory of Inventive Principle (TRIZ), which has Russian origins, shares many ideas in common with Sun Tzu’s philosophies. 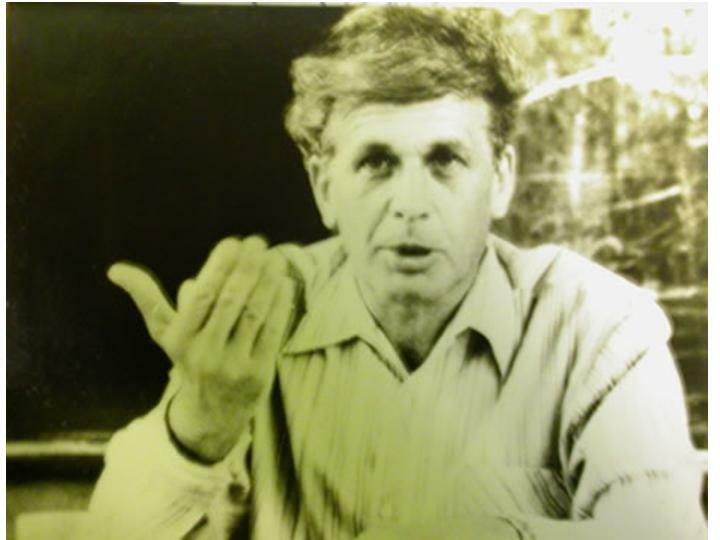 TRIZ was created by Heinrich Altschuller above. I am looking at a boxed game set of the Chinese board game ‘Go.’ Go and the game of Chess are the two quintessential strategy games from ancient times. Go was invented around the time Sun Tzu’s wrote his work. The actual rules to Go are simple, but the skill to play at the master level takes years of practice. A moment of inspiration occurs some time around 2:00 on a Saturday afternoon. 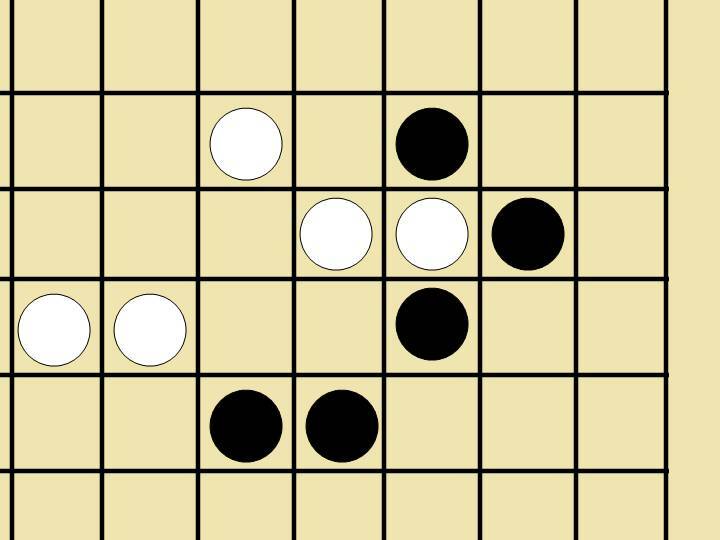 In Go, there are four major components to the rules of play, and these represent the four core elements of competitive strategy. The practical purpose behind the game’s invention 3,000 years ago was probably being to teach these four elements. The four elements become the aces. 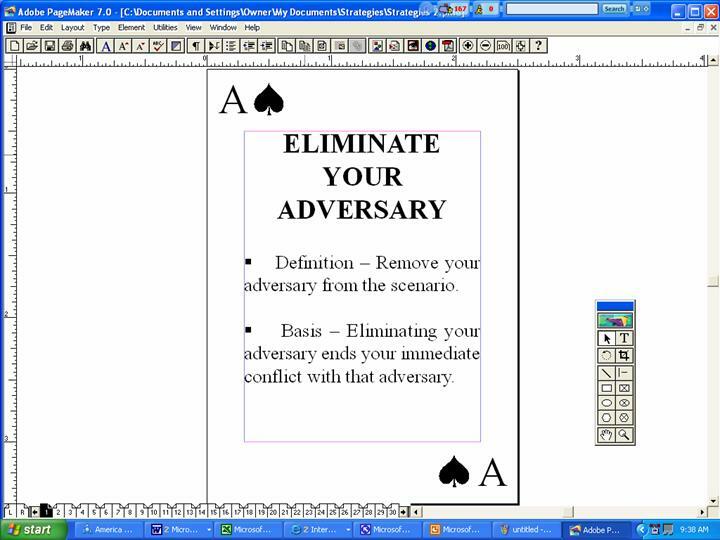 The rest of the necessary strategies to complete the 54 card deck fall in place in less than an hour. I complete a prototype of the cards in PageMaker and set them aside for eight months. During that period, I scout new strategic ideas to find any evidence that the card deck is not complete. It withstands this test without requiring any changes. 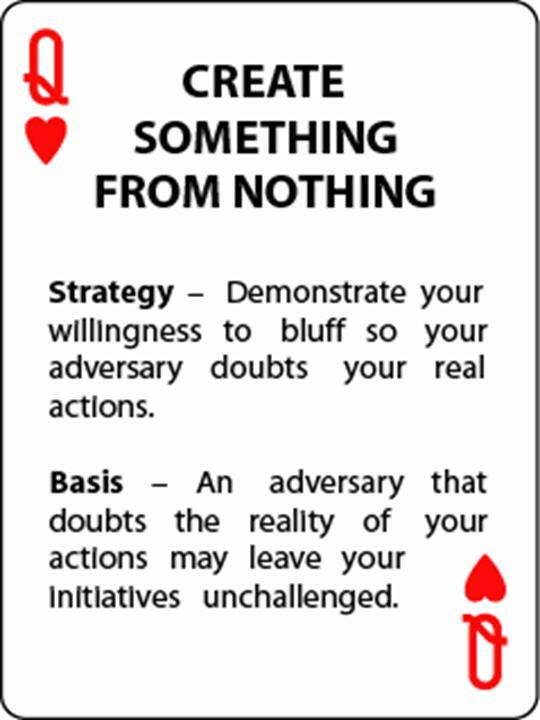 I show the concept deck to many executives along the way, and the feedback is excellent throughout. Decision time. Specialty card makers charge quite a bit to produce custom card decks. I find Carta Mundi, which can produce them at a reasonable cost as long as they receive the files in ready form. An editing exercise begins that will take three months. I have space for 1,600 words on the cards yet need to comprehensively convey information that many strategy texts take of 100,000 words to describe. I choose a format that includes a descriptive title, a definition of the strategy, and a basis for why the strategy works. Then I go through and ensure that each of the statements made are true all the time. I owe a great debt to my father during this period for lending a very practical eye to the project. I have little difficulty choosing a design for the card deck. When I wrote the companion book, I had do decide whether to go with a red base color or black base color. I chose red. That left black. Conveying the product’s contents on the back, to include leaving room for the bar code, proves the greater challenge. I originally choose to shrink the bar code, but learned that could result in steep fines in California of a scanner cannot read it. I choose “Which Card Will You Play?” as the tag line for the back and show a couple examples of the cards. I choose at this time to leave the User’s Guide on the Web. The box back above was the original design. Market research shows that enough of the population expects cards to have a game that I need to work on that idea. 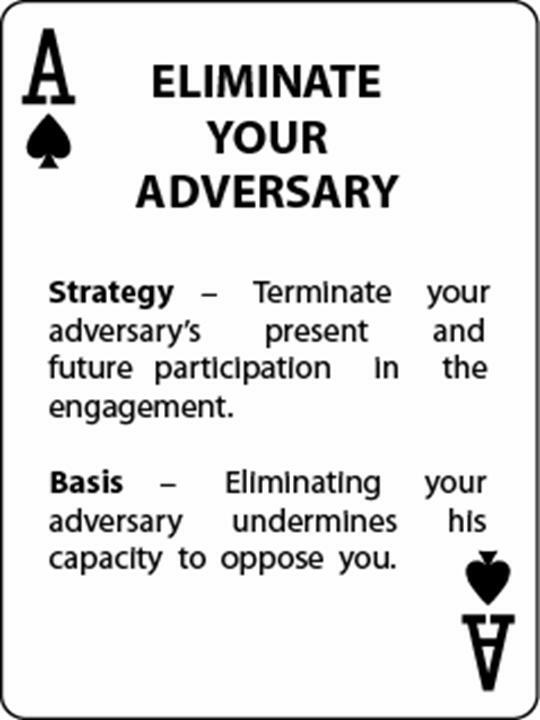 I do not have a ready-made idea, but do find that I can group strategies by suites so that the spades involve elimination, diamonds involve isolation, clubs involve preparations for the battlefield, and hearts involve preparation for the self. I know this division will prove key to making a game possible. Completed files go to Carta Mundi on May 26th. The idea for the game Assertion comes to me in another moment of inspiration. Each card have four values, to include the denominations, the suites, the described strategies, and the physical card itself. A game that requires a strategist to choose which value he or she will use to build his or her position creates a highly dynamic environment to learn and show off strategic skills. The game play for Assertion tests very well. Problem solved. I also obtain distribution from National Book Networks at this time. This company distributes books from RAND, Cato Institute, and Kiplinger among others, so I am in good company. It is only after the fact that I learn a new publisher enters business in the US every 18 minutes. Getting distribution for any publication is very difficult. Another problem solved. Everything imaginable that could go wrong with production does. Black is interpreted by the printer to mean use two-color processing when the metal spear requires four-color processing. The spear comes out too dark, then too light, then yellow, and then pink. Once that is resolved, the linen card stock chosen proves too porous for black, and when a sample of this problem appears at my door, it shows someone switched the files for the card backs back to pink. (This, of course, is what happens when you work with the company that handles Budweiser and ESPN, but are not Budweiser or ESPN.) A new manager at Carta Mundi, however, takes the ball, puts one of his best people on the project, makes a recommendation that improves the design, and the final result shows all the quality intended. Carta Mundi stays in good graces. Complete the draft of the Inventive Solutions Card DeckTM that is being done as a joint venture with Ideation International. This card deck is more extensive, 170 cards, and larger in size. Develop games for this product title Solve ItTM and Evolve ItTM for this product. 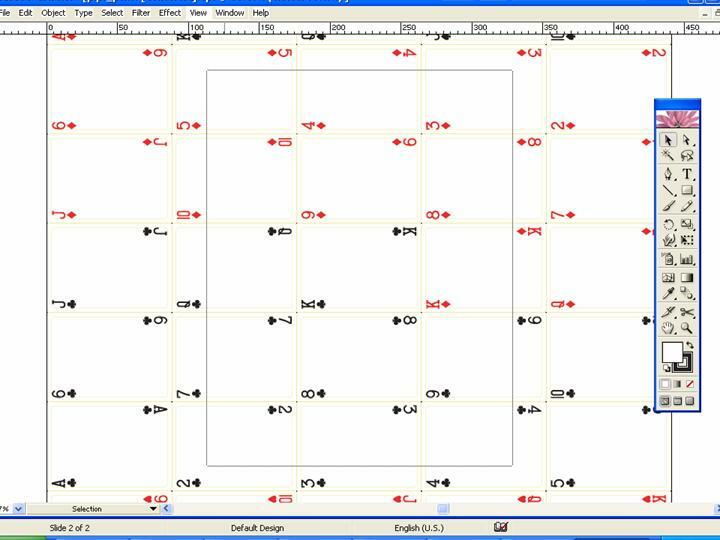 Develop the game StratEffectsTM that follows similar principles of the two. All three games encourage players to consider all aspects of possible solutions to technical and competitive challenges. In tests they prove extremely effective for real world problem solving. 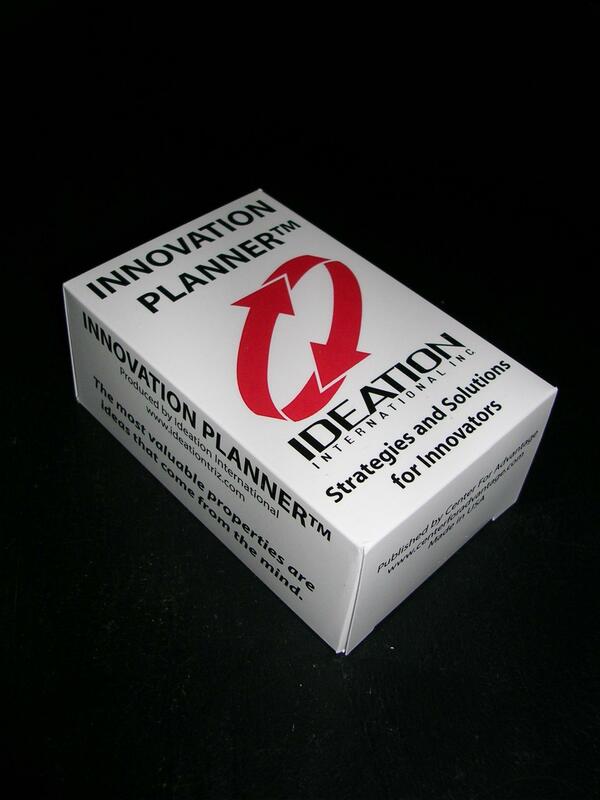 Innovation Planner™ is a card set of innovation strategies and solutions used for rapid, effective, and efficient problem solving and idea generation. It is based on the Ideation TRIZ innovation methodology that was derived from the analysis of over 3 million patents and 500 standard patterns of technical evolution. Just as you can combine the 26 letters in the alphabet to produce all ranges of literature, these cards describe the universal principles of invention that innovators combine to create the millions of inventions known to mankind. January 2006 - Seminars etc. 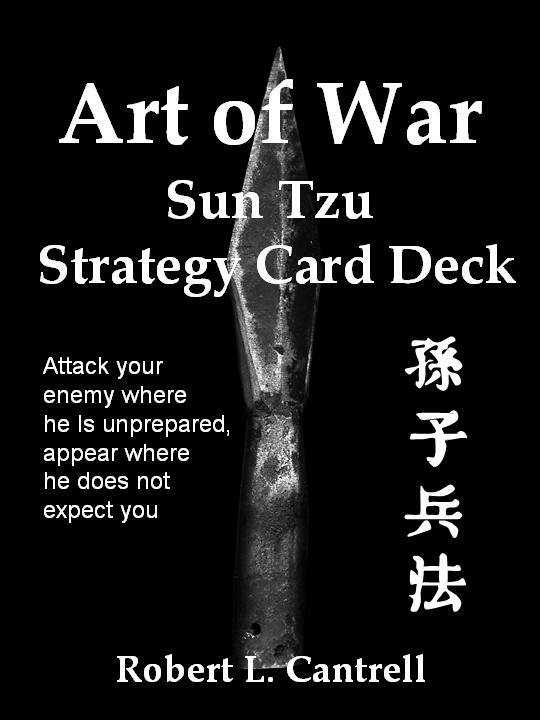 The Art of War: Sun Tzu Strategy Card Deck becomes the basis for a number of seminars at functions in the U.S. This meeting for LESI at the Center Club of Baltimore was representative. It is with utmost pleasure that the LES Maryland Chapter has the opportunity to welcome Robert Cantrell to share with us his insights in licensing strategies for companies. Topic: "Which Card Will You Play? " 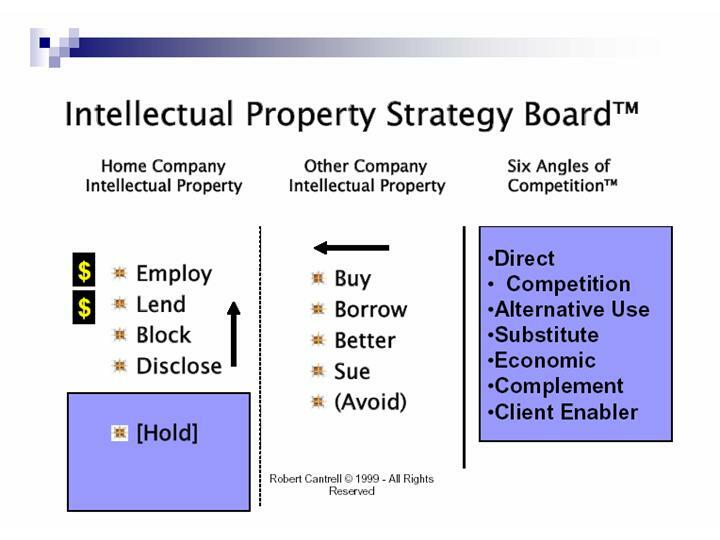 IP strategy is the bridge that links the power of your intellectual property portfolio to the objectives of your business. It is crafted from your ability and willingness to use the patent, trademark, and copyright system to keep others from freely exploiting important art. The most successful IP strategists learn how to use all material, psychological, and moral aspects of their power to achieve their objectives. This discussion will show how to widely expand your range of possibilities for achieving the highest return on your intellectual property and the intellectual property belonging to others. The ideas presented will be illustrated through the use of a very unique playing card deck that is currently in use for strategic planning at top flight corporate, legal, and government organizations. Speaker Introduction: Robert Cantrell Robert Cantrell heads the IP Strategy and Analysis group at Landon IP, Inc., in Alexandria, VA. He is also a part of the Washington D.C. strategy conversation with ties to such organizations as the National Defense University – where his book Understanding Sun Tzu on the Art of War is a part of the curriculum. Robert has been involved with Intellectual Property Strategy and Competitive Intelligence since 1993 with such companies as Thomson Information and Manning & Napier Advisors. He has spoken to and consulted with organizations throughout North America, Asia, and Europe. Prior to entering business, Robert served as in infantry officer with the 101 st Airborne Division of the U.S. Army. 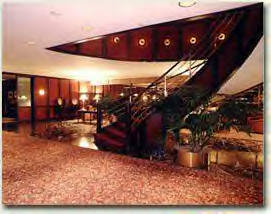 The Center Club is located in the heart of downtown Baltimore in the Legg Mason Building at 100 Light Street between Lombard and Pratt Streets. Parking in complementary at the Legg Mason building. It was bound to happen. 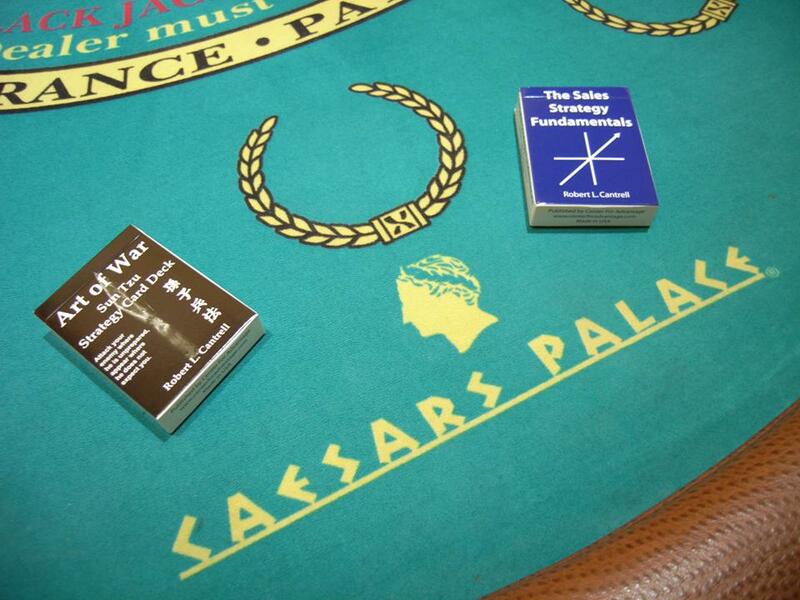 Gave a strategy seminar for fifty people in Caesars Palace, Las Vegas. The seminar focused heavily on the cards. Las Vegas is a natural setting for the decks needless to say. The cards become a centerpiece for the Sandia Red Teaming conference. The Red Team conference in general has become a boom for sales of the cards. They provide an excellent way to step into the shoes of the opposition. The above photo shows a Red Team exercise where participants wrote on red post it notes the possible actions of their opponents, and on blue post it notes, the actions they could take. That become the basis for planning. I have been busy, and have neglected marketing on the cards. You may be able to tell since this Web site is up on Microsoft FrontPage still, I am keeping it up with a 2002 HP Pentium III, but I do own an iPad. It may still be another year, but stay tuned and this will all be updated. It's been OK, because the cards have developed some of their own momentum. I have focused a lot of my extra time outside work as a professional strategists on shark photography www.robertcantrell.com and a new documentary www.allfinson.com. I used the cards a lot in that last shoot, and they are getting some notice in Hollywood among directors. The biggest markets, far and away, continue to be military professionals and litigation attorneys.